TOP Year 2023 . 13 Mins Walk to MRT . Here we present Dairy Farm Residences, a new mixed development at Dairy Farm Road in the Hillview area of Singapore, off Upper Bukit Timah Road. 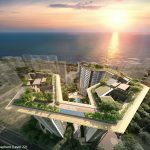 It is being developed by UED Residential, a subsidiary of United Engineers Limited, a well-established local developer. UED Residential intends to build Dairy Farm Residences as a prime development that will house 450 apartments, and commercial spaces designed to meet the needs of residents. These include a supermarket, F&B outlets and a food court, a childcare centre, and retail shops. While the site is not very close to an MRT station, being roughly 13 minutes walk from Hillview station, it has one outstanding feature. It is just across Dairy Farm Road from Dairy Farm Nature Park, and the Bukit Timah Nature Reserve. Looking westwards across Bukit Timah Road to the Hillview estate area, we also have the greenery of Bukit Gombak, and Bukit Batok Town Park and Nature Park. These are all protected nature parks. 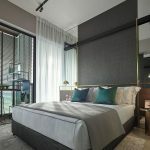 Hence many of the south-facing units at Dairy Farm Residence will be assured of greenery views to the reserves, and even to Bukit Timah Hill. And further afield, looking east and south east across Bukit Timah Expressway, we have the reservoirs of Upper Pierce and its surrounding forest, that form part of the Central Water Catchment area. It has been recorded that homes located around the fringe of the Central Catchment Nature Reserve, as this one is, enjoy temperatures that are 2 degrees lower on average than the rest of the island. As well as fresher and less polluted air. 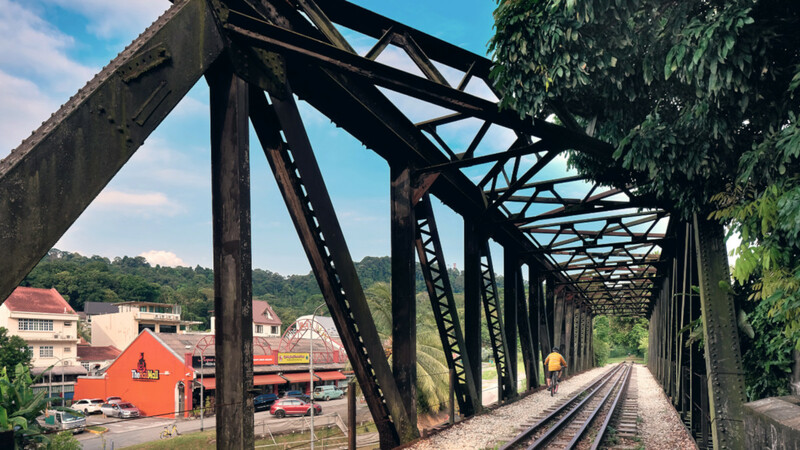 Homes in this neighbourhood are popular with residents who value a greener more peaceful location over being next door to an MRT station and its attendant crowds. Here you can escape from the stresses of city life, and really unwind and be soothed by the views of the greenery around. Dairy Farm Residences should appeal to those who like lots of greenery around, or who are nature or outdoor lovers. Having the Dairy Farm Nature Park and Bukit Timah Nature Reserve practically next door, so to speak, ought to be very conducive to exploring the great outdoors. Even for the not-so-energetic ones, just being able to take a stroll in the park across the road, to see the sun filtering through the trees and the colourful flowers, could be therapeutic. Great for winding down, and sloughing off the stresses and frustrations of the day, refreshing yourself amidst the greenery and fresh air. Dairy Farm Residences is also pretty good where basic amenities are concerned. Being a mixed development, you would have most of the necessities on your doorstep. Such as a supermarket and food court, other food joints, some shops, and a childcare centre. That makes it easy to pop down to pick up something you need at short notice, like a bag of chips, or laundry detergent, or just a take-away meal. Other than that, there are a couple of interesting malls nearby. One is the quirky Rall Mall, with its unique appearance that stands out from other malls in Singapore, and its eclectic mix of shops and food outlets. 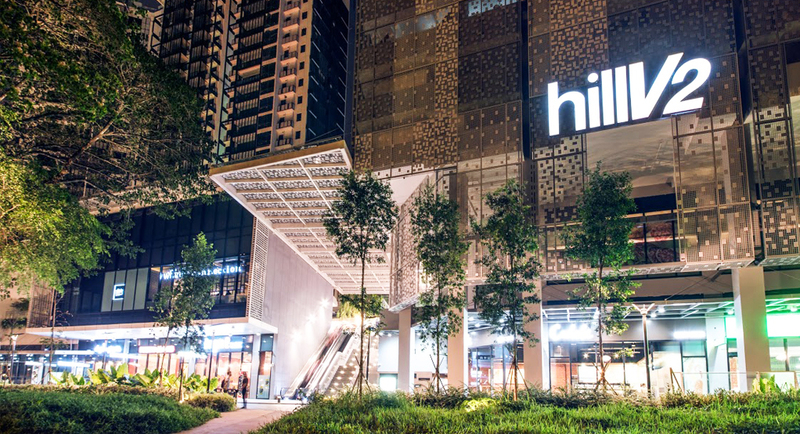 The other is HillV2, a new upscale mall with two levels of lifestyle offerings and gourmet delights. Both are great places for chilling out at, whether alone with a book, or relaxing with a group of friends, or for an evening of retail therapy. 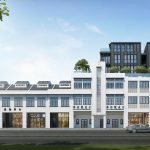 Units at this Dairy Farm condo could also get good rental demand from expatriates, as it is located just beside the German European School Singapore (GESS), an international, multi-lingual, co-educational school. 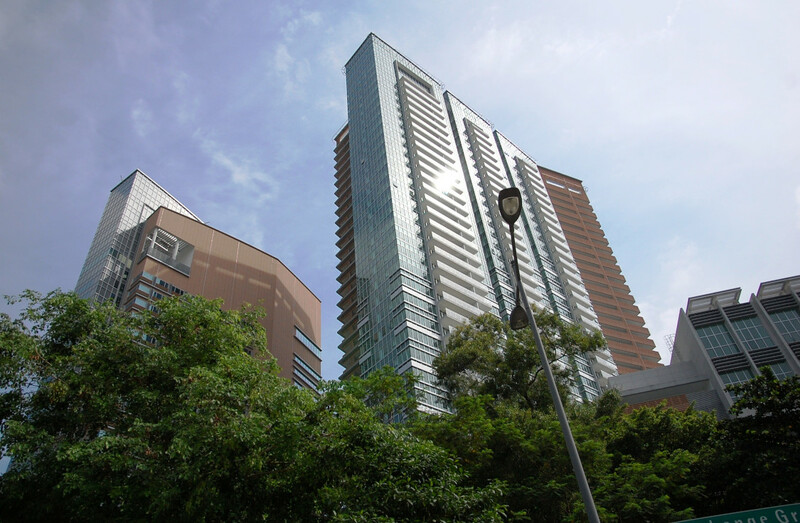 Description Mixed Development comprising commercial retail shops at ground level including a supermarket, food court and childcare centre, and 450 residential apartments with condominium with a landscaped e-Deck housing facilities such as swimming pools, gymnasium and other communal facilities, and car park. The Dairy Farm Residence floor plans are not available yet. Do drop us your contact details via the Form if you would the floor plans to be emailed to you once ready. The Dairy Farm condo site is an L-shaped parcel of land at the corner of Dairy Farm Road and Petir Road, in a mainly north-south orientation. It is also bounded by Dairy Farm Walk and Dairy Farm Lane on its north and west respectively. 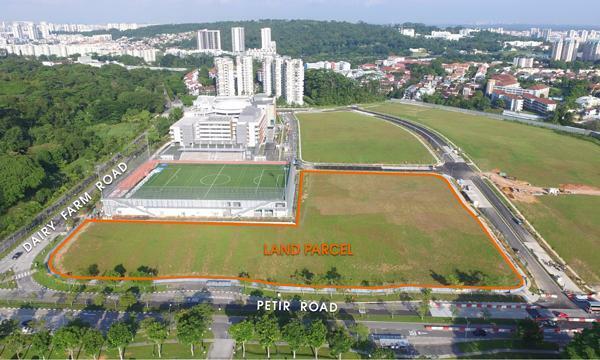 Also to the west of the site, accessed from Dairy Farm Lane, is the German European School Singapore campus with their open field at a corner of our site. The school building is 6 storeys high. 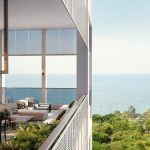 Which means that south-facing units at Dairy Farm Residences should get views to Bukit Timah Hill and the nature reserves across the road, not just directly, but in a wide angle from the south-east to the south-west. The Dairy Farm condo showflat has not been completed yet. Do drop your contact details in the Form below if you wish to be notified of the Showflat Preview timelines. The Dairy Farm Residence pricing has not been decided yet. Kindly let us know via the Contact Form if you wish to be kept posted when the pricing is available. The Dairy Farm Residences site spans 211,488 sq ft of ground. According to the URA Master Plan, it is zoned mixed development with a plot ratio of 2.1. This works out to total permissible gross floor area of 444,124 sq ft, inclusive of the retail space component. URA, the Urban Redevelopment Authority, awarded the site to UED Residential in the Government Land Sale (GLS) concluded on 7 September 2018. This unit of United Engineers Limited had submitted the top bid of SGD$368.8 million. While this could mean a break even rate of around $1,380 PSF after all the construction, development and overhead charges, the final selling price would also depend on the cost proportionment between the commercial and residential components. Which could mean a selling price of anywhere between $1,5xx to $1,6xx PSF. However the VIP Preview pricing might be lower, as developers typically give a special discounted rate to push sales at the launch. 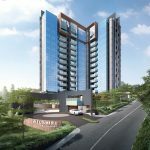 Dairy Farm Residence Singapore is being developed by UED Residential Pte Ltd, a wholly-owned subsidiary of United Engineers Limited. United Engineers was founded in 1912. As one of Singapore’s pioneer companies it played an integral part in our nation’s growth and transformation. From its early engineering roots, UEL has evolved into a conglomerate with businesses in property development and rental, hospitality, engineering, and manufacturing and distribution. The group’s property division is recognised for its integrated property industry capabilities and sterling track record over the years. It has accumulated a diverse development portfolio of residential, industrial, commercial, mixed-use, and built-to-order projects not just in Singapore, but expanding into China and Malaysia as well. 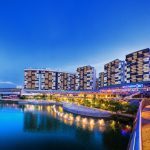 It has also built up a team of professionals with in-depth knowledge and experience in project management and property management of mixed-used developments, malls, and office buildings. Among the many buildings developed by United Engineers, are recognisable ones that have helped shape the Singapore urban landscape. 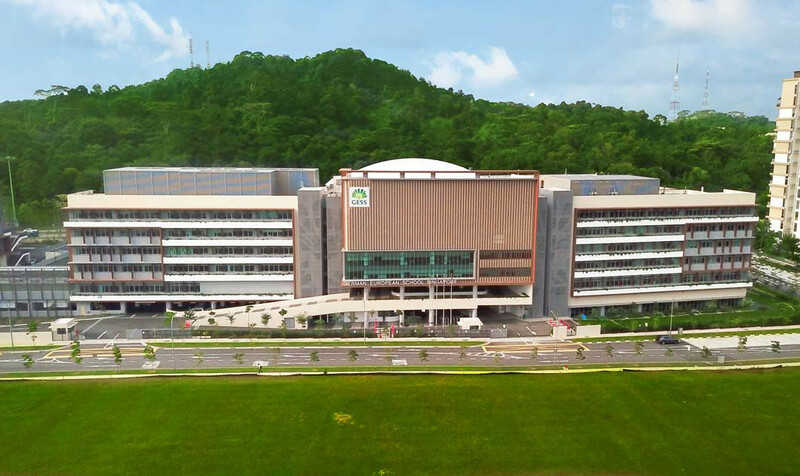 Such as UE BizHub CITY (formerly known as UE Square), UE BizHub EAST, the familiar Orchard Gateway, and the mixed-use development at One-North comprised of Rochester Mall, The Rochester, and Park Avenue Rochester. Other residential projects include Ascentia Sky @ Alexandra View, Eight Riversuites, Kovan Melody next to Kovan MRT station, and Sui Generis @ Balmoral Crescent. Location. The Dairy Farm Residence location is in the private residential enclave between Dairy Farm Road and Cashew Road. 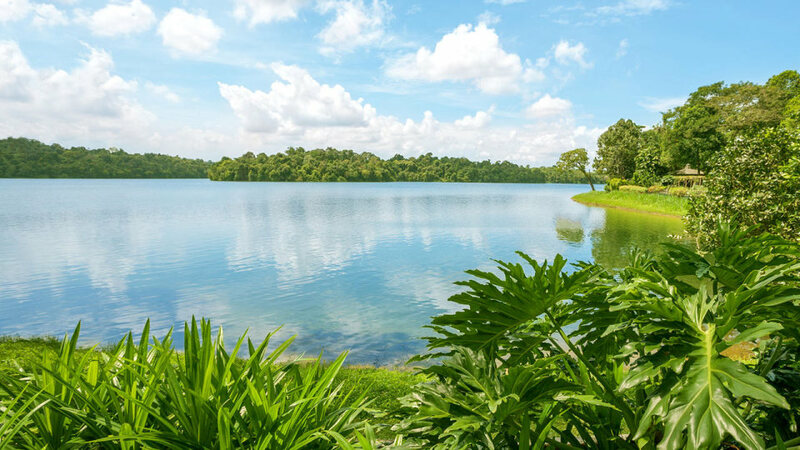 In this neighbourhood is a mix of low to mid to high rise condominiums, rising above an established landed housing estate, and flanked by the Upper Pierce reservoir and forests to the east, and Bukit Timah nature reserve to the south. In the landed estate we have one to three storey high houses in all sorts of architectural styles, along lanes with names such as Chestnut Drive, Almond Avenue, and Cashew Crescent. Shops, F&B, Services, Supermarkets. Within the Dairy Farm Residences location itself, residents will already have access to a supermarket, F&B outlets, a food court, and some shops. And for more variety, they can take a short ride or 18 to 20 minute walk either to the Rail Mall for more culinary choices including local fare, or the latest lifestyle mall in the area, the HillV2. The Rail Mall is a conserved single-storey row of shops with an instagram-worthy facade and a quaint charm all its own. Its cafes, bars and shops exude warmth and a sort of homeliness. HillV2 on the other hand, is a more upmarket “hip & cool” place. Its open design gives it a sense of spaciousness and relaxed vibe. 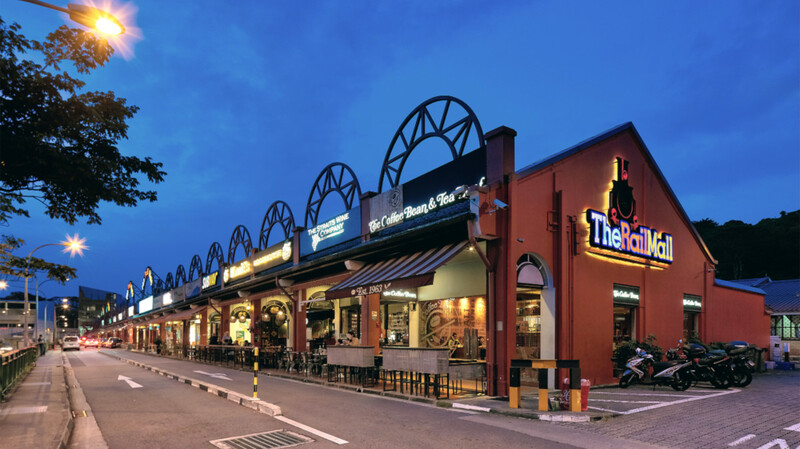 While not very big, it nevertheless manages to offer most of what one might require for dining and shopping needs, and is a popular hang-out with residents from the neighbourhood. Dining choices here range from Chinese to Korean, Japanese, Chinese, and Italian and local fare. There are a couple of ice-cream creameries and bistros, as well as a Starbucks outlet. And to extend your grocery shopping options, there is Hillview Market Place supermarket. Services include hair and beauty salons, medical and dental clinics, a florist and pet shop, and a tuition centre. Leisure / Outdoor / Nature Activities. 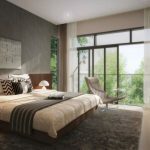 The parks and nature reserves just across the road from the Dairy Farm Residence location is what makes this place stand out from the many other new developments. Few other new places have such a direct view and immediate access to a nature playground like this, with its walking and cycling trails, or just for the kids to run around in. It makes for a healthier, more refreshing lifestyle, that you can hop over to anytime you feel like it. Even just looking at it from within your unit, ought to help soothe and relax. Nearest MRT Station. If there is one drawback about this Dairy Farm condo location, it is that the nearest MRT station is not very close by. According to Google Map, it would take about 12 to 13 minutes walk to walk the 950m to Hillview MRT station on the Downtown line. However once you get onto it, is is a fairly useful line, as it runs down Bukit Timah to Newton, Marina Bay, Chinatown, before going on to Tampines and ending in Changi. Schools & Academic Institutions. This MRT line also takes you (or your kids) through the Bukit Timah education belt, along which are numerous brand-name schools such as Methodist Girls, Nanyang Girls High, Raffles Girls, the National Junior College, Hwa Chong Institution, NUS (Bukit Timah Campus), Singapore Chinese Girls’ and Anglo-Chinese Boys (Barker Road) schools. Accessibility. Drivers will find the Dairy Farm Residence location rather convenient. This point of Dairy Farm Road is barely a couple of minutes’ drive to the nearest exit onto the Bukit Timah Expressway. From there you can turn south to eventually join the Pan-Island Expressway (PIE), or north towards the (SLE) Seletar Expressway and Woodlands Causeway.